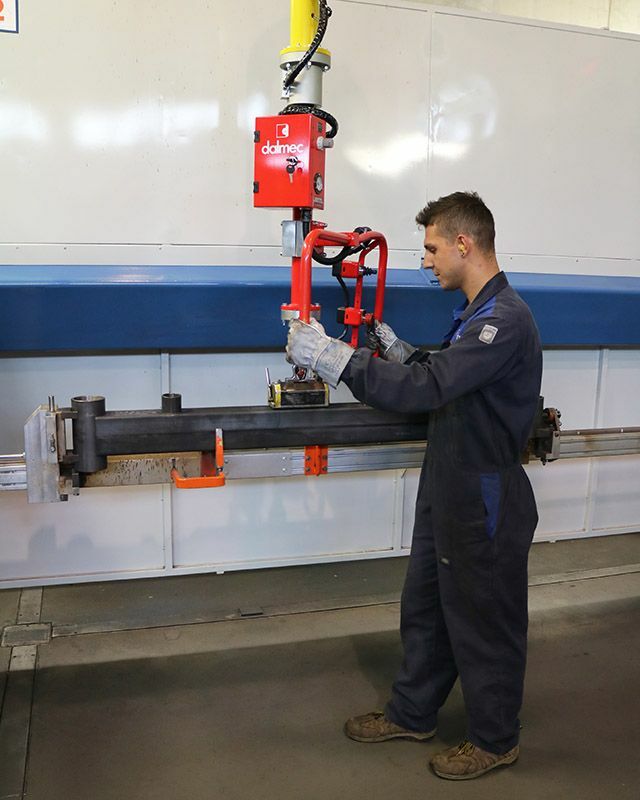 Lifter with magnet – Manipulator Partner Equo with magnet for loading / unloading welding centers etc. 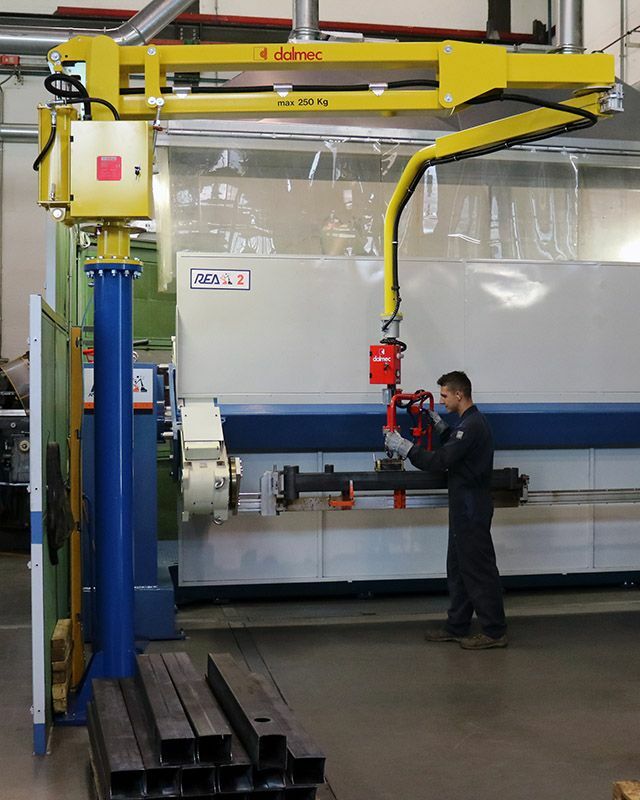 Manipulator Partner Equo, column mounted version with base to be fixed to the floor, designed for the loading and unloading of welding centers, machining centers, milling machines, lathes, etc. The manipulator equipped with gripping magnet enables the handling of metallic products having different shapes, weights and dimensions. Dalmec manipulators are world renowned for their outstanding design and technological qualities, for various unique components covered by international patents, and strong specialization with specific solutions for each product sector. All industrial phases, from design to assembly and final testing, including operational analysis, three-dimensional design, research into various technical solutions, simulations and prototyping, are carried out exclusively by Dalmec’s own staff. The permanent magnet is installed on three manipulators with different characteristics, studied and costumized for the machine tool to feed and for the type of movement to be done.